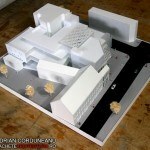 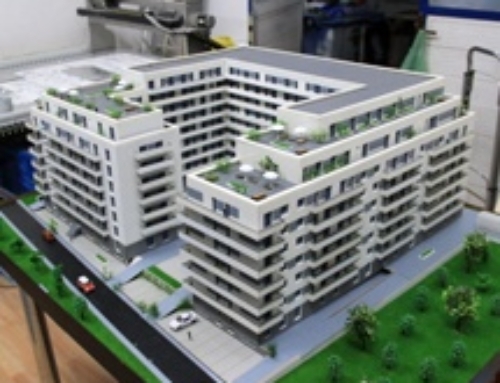 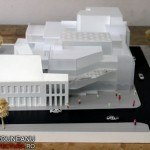 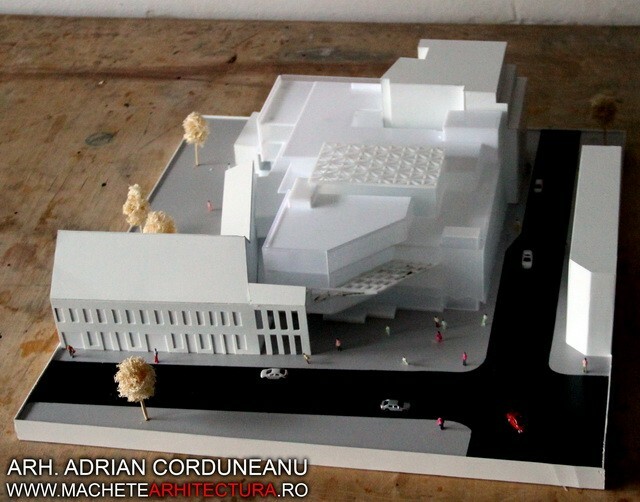 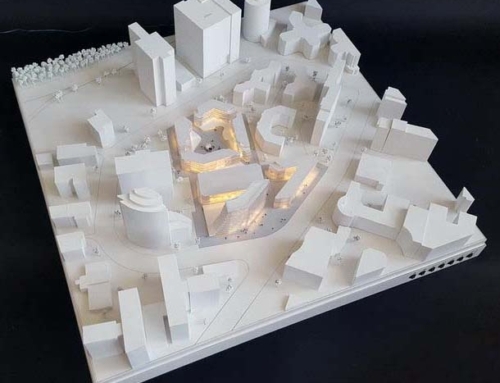 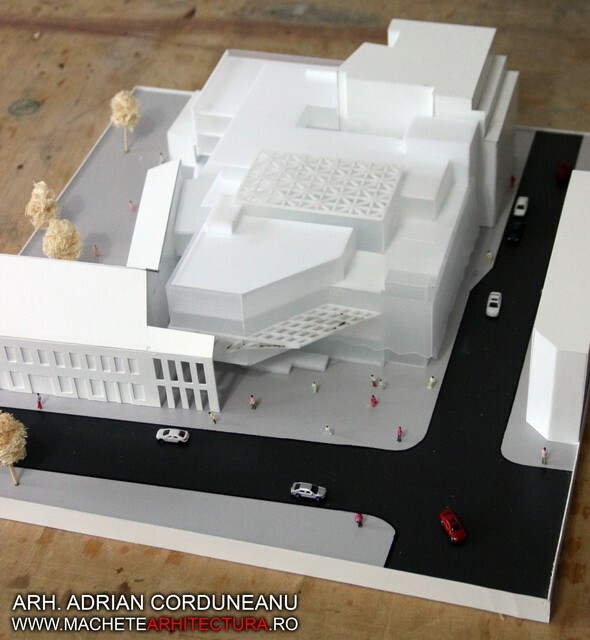 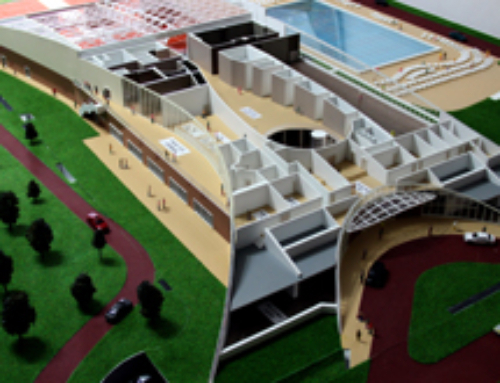 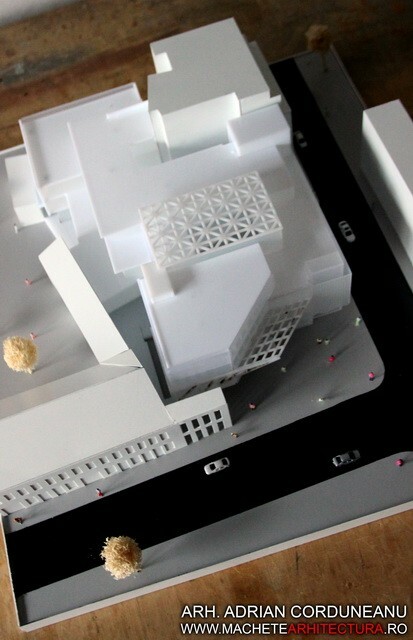 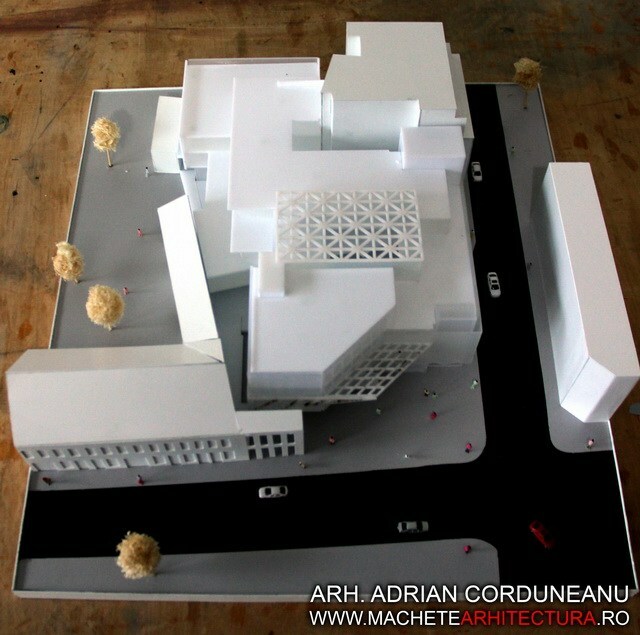 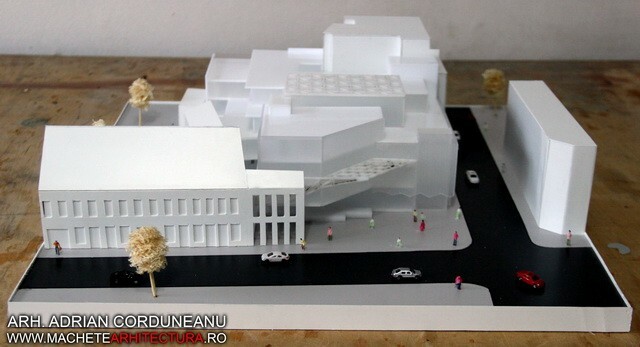 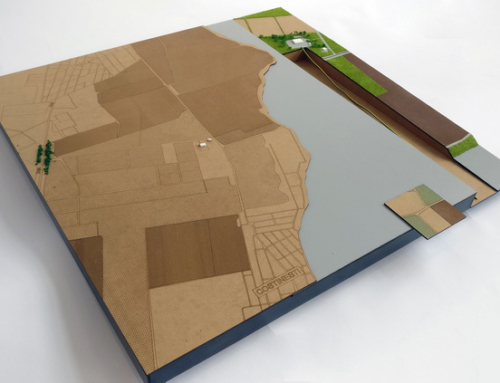 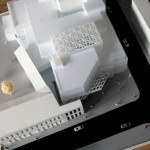 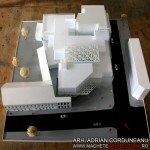 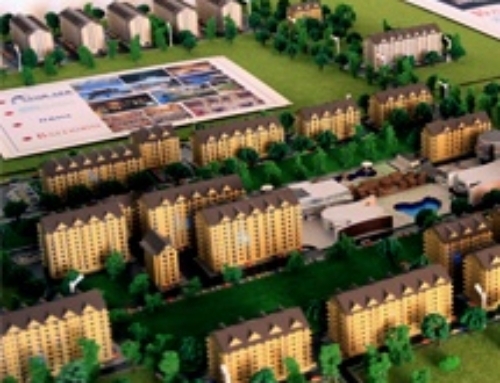 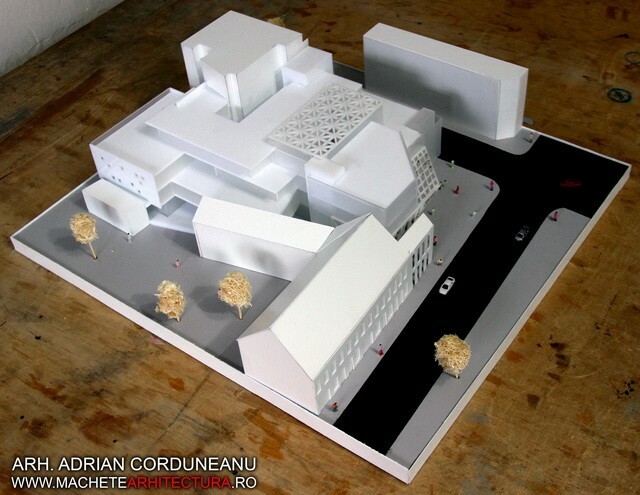 This model was a graduation project for the Ion Mincu University of Architecture and Urbanism in Bucharest, which took 10 days to complete.The 1:200 (A2 format) scale model is monochrome, and mainly uses white PVC. 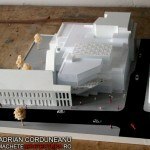 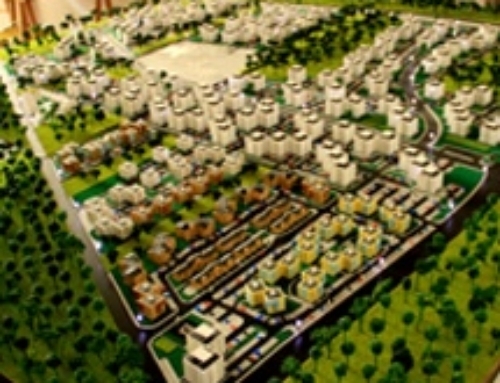 The loofah trees are meant to add a bit of colour to the project. 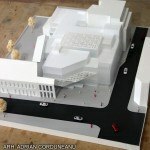 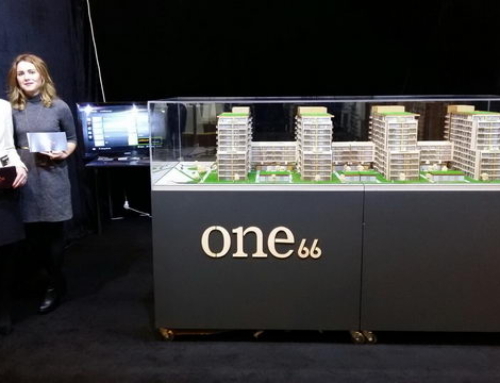 The building is made of white-painted Plexiglas. 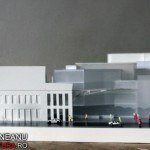 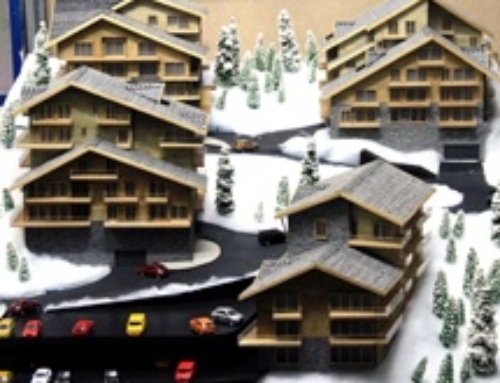 Entourage elements (people and cars) were placed on the black MDF streets.